The Academy will be closed Victoria Day 2019 in observance of the public holiday. Classes resume on Tuesday. 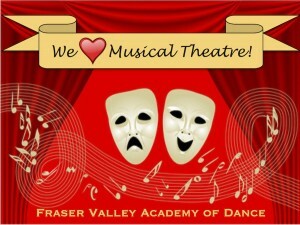 During School Show 2019 Production Week, students rehearse Monday to Wednesday at Fraser Valley Academy of Dance, then move to the Clarke Theatre to rehearse on Thursday and Friday. Tickets are on sale online for the Junior School Show 2019, and also at the FVAD Office. Check the cast lists below to know which show your child is performing in before purchasing your tickets. FREE TICKETS: Each Junior School Show ticket holder may obtain a free ticket to the Senior School Show from May 1 while seats are available. Present your ticket receipt from May 1 at the office for your free ticket(s). Visit our Performer’s Corner Information for Performers 2019 for further details for our students and their families including…. Tickets are on sale online for the Senior School Show 2019, and also at the FVAD Office. Check the cast lists below to know which show your child is performing in before purchasing your tickets. FREE TICKETS: Each Senior School Show ticket holder may obtain a free ticket to the Junior School Show from May 1 while seats are available. Present your ticket receipt from May 1 at the office for your free ticket(s). The full performance video will be available to watch online shortly after the performances. The Summertime 2019 August 6-10 Dance & Theatre programs provide the essential training over the long summer break to ensure students retain their dance fitness and enhance their performance techniques. The Summertime 2019 Musicals Camp August 6-10 provides students with an exceptional experience in singing, acting and dancing. The Summertime 2019 August 12-16 Dance & Theatre programs provide the essential training over the long summer break to ensure students retain their dance fitness and enhance their performance techniques. The Summertime 2019 August 19-23 Dance & Theatre programs provide the essential training over the long summer break to ensure students retain their dance fitness and enhance their performance techniques. 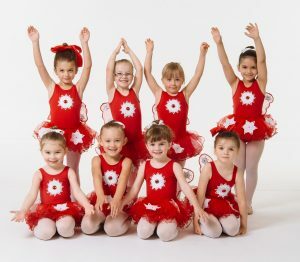 The Summertime 2019 August 26-30 Dance programs provide fun and creative environment for younger students to explore movement, musicality and dance-related arts and crafts..
SHOWCASE PERFORMANCE IN COSTUME ON FRIDAY, AUG 30!